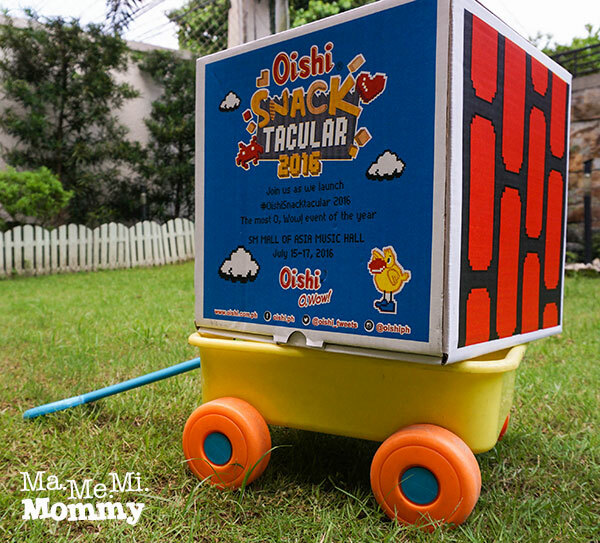 I’ve been hearing a lot of good things about Oishi Snacktacular. It’s now on its 3rd year and I just could not, would not pass up the chance to attend. I was so glad to have gotten an invitation to this 8-bit inspired event that was held last July 15-17, 2016 at the SM Mall of Asia Music Hall. The boys were so excited when they saw this box of invitation. “Minecraft!”, they shouted. LOL! Seriously though, the invitation is super cool, suggestive of a super cool event too. Read on to find out which parts of the event were the best! With an invitation this cool, who in his right mind, would pass this up? Wagon not included. 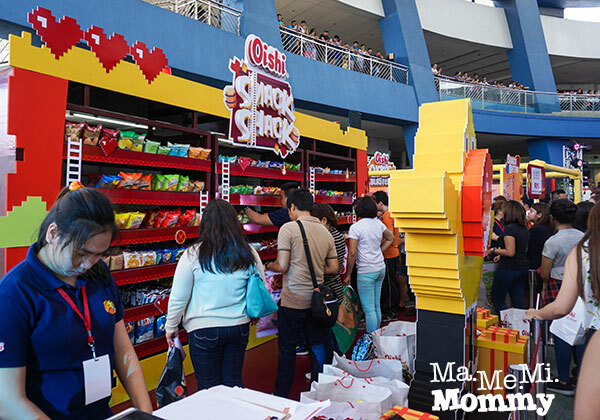 Entrance to the Oishi Snacktacular is FREE and you will get a Pass to Wow like this. It’s like a passport where you go to each attraction and have it stamped when you’ve completed the activity. You get a T-shirt as a prize for completing all 7 attractions. Plus, at the end of the event period, the one who gets the most points will get a major prize as well. Here’s a map of the attractions in the event. Dive in and grab all you can for only P200. While the entrance to the event is free, a fee is collected per activity. The amount differs per activity. This was the first activity I lined up for. I had to wait 40 minutes before it was my turn. It looked really fun though so I endured the long wait. In this activity, the participant gets to be the human crane that grabs goodies, much like those in arcades. While waiting, I watched how others succeeded and failed and formed a strategy of my own on how to do it. When it was my turn however, I forgot all about strategy and just dove in and grabbed. Haha! I got 60 packs, a far cry from the record of close to 200! I wonder how he/she managed that! The experience was super great though. How often do you get to try this in your life? 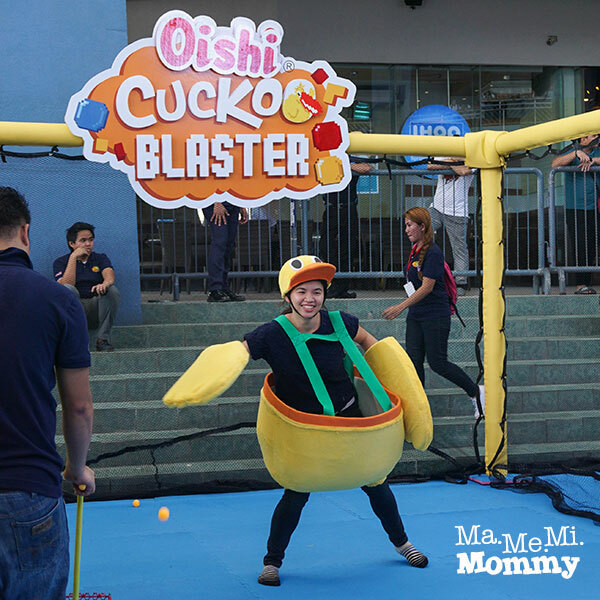 Catch as many balls as you can and win the equivalent number of snacks for only P100. This looks super easy from a third person’s view so I lined up for this right after I did the snack catcher. I just had to post this photo because I love how the red of his shirt and socks complemented the cuckoo costume! 😀 The orange pingpong ball was coming right at him and that’s what he’s supposed to catch into his big belly of a costume. There I was donning my Cuckoo costume, ready to be blasted by pingpong balls. 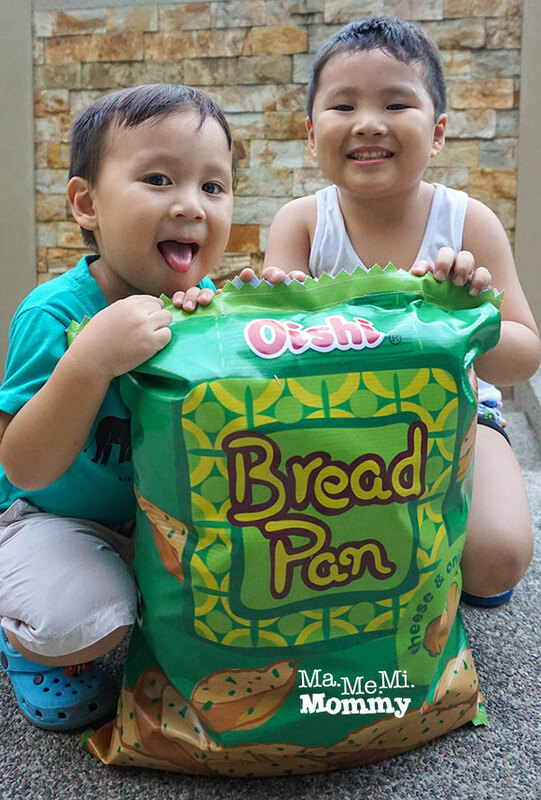 Fill your 2-ft giant Oishi pack in 60 seconds for only P295. This was the last on my list as I had to go pick up the kids from school. The line was still long on this but I knew I had to try it. It was done in batches though so that made things a little faster. Refresh the Smart way with a Smart C+ slushee for only P20! After all those activities, I grabbed a slushee and it was truly refreshing! 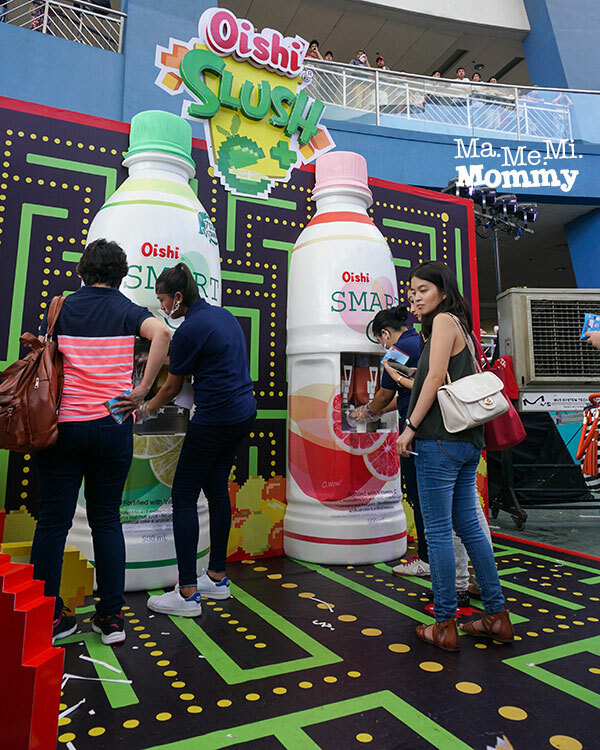 Oishi Smart C drinks, yum! 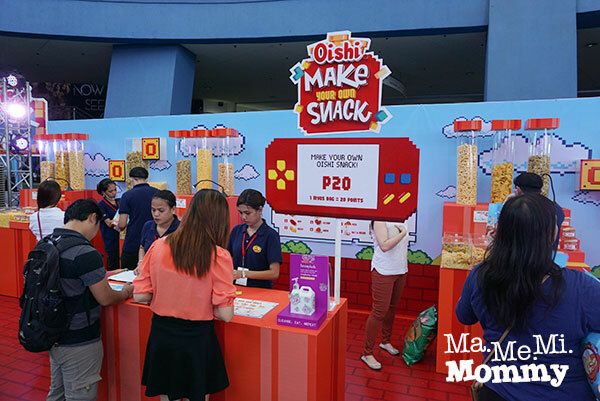 Make your own oishi snack for only P20. 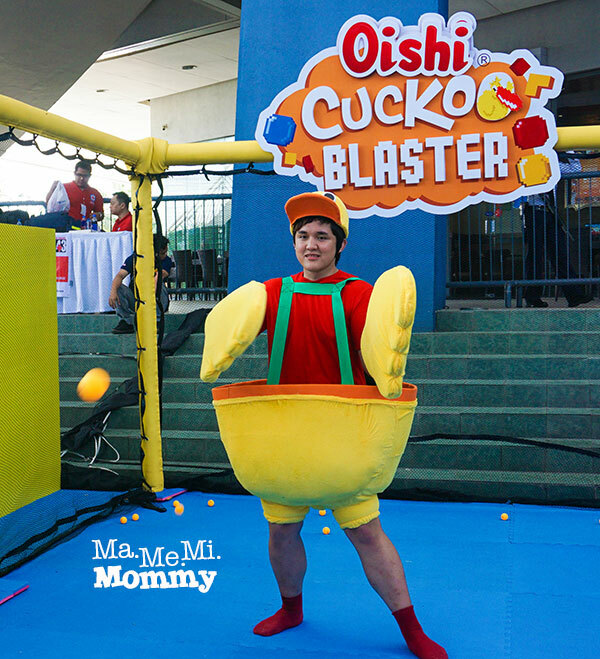 Oishi’s iconic Team O members were also there to grace the event. 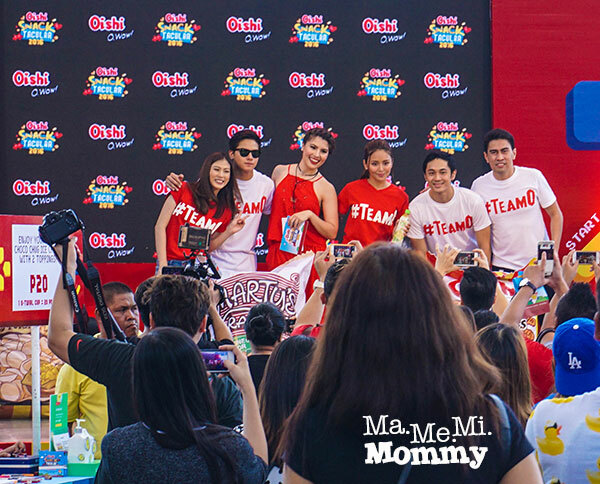 The Team O consists of Daniel Padilla, Kathryn Bernardo, Ramon Bautista, Alex Gonzaga, Slater Young, and Elmo Magalona. Maine Mendoza, Oishi Ribbed Crackling’s endorser was also introduced as Team O’s newest member. While I missed the other attractions, I was so glad to have done the must-try ones. Super super fun! 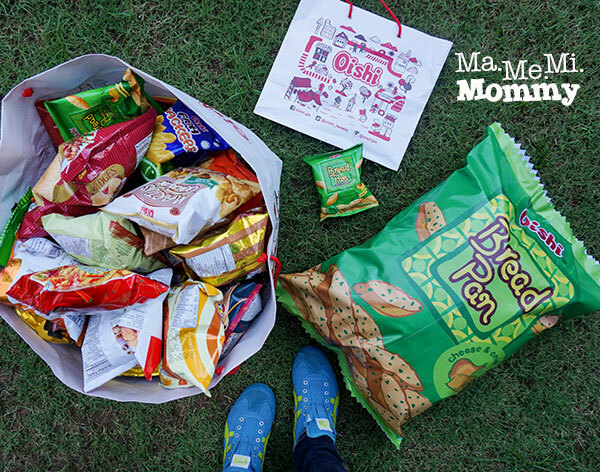 Plus, I got to take home lots and lots of these Oishi snacks! To my school team members, snacks on our next meeting is on me! Hahaha! 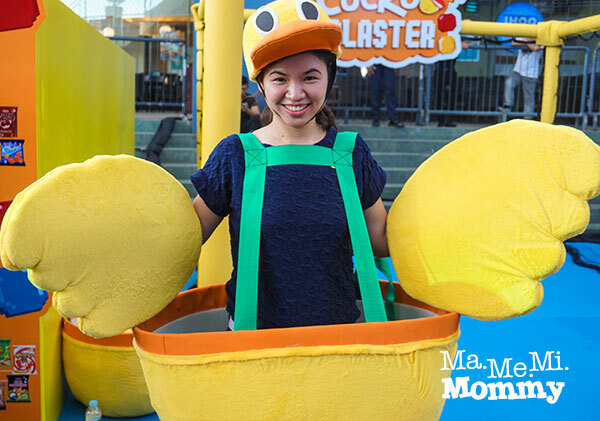 I’ve seen a lot of photos of this event in IG and I enjoyed watching some videos of snack catcher and Cuckoo Blaster. For sure, lugi din ako sa snack catcher sa liit ng kamay ko. hehehe! Wow it looks so fun nga! I’m sure you had a blast. 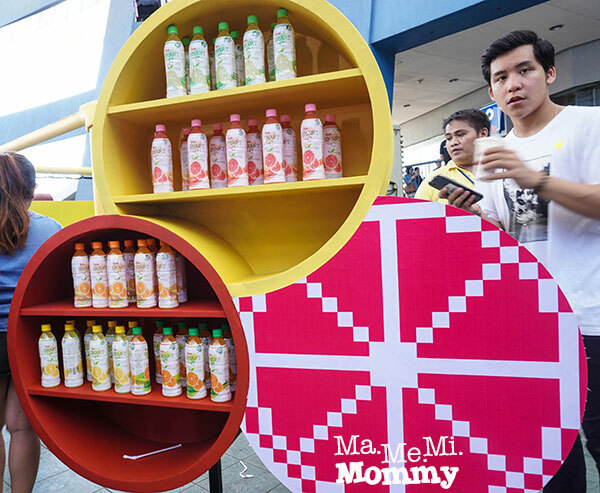 Sayang you weren’t able to customise your own snack; I’d have wanted to see how it was done. Looks like a really fun event. Love how you got all those chips in one dive. Galing lang. I yet have to expereince the Oishi Snacktakular. Sulit na sulit sa games and prizes ah. 🙂 Can’t get over the chicken costume catcher thing hehe. I would have loved to join this event although I probably wouldn’t be allowed to join the physical activities because I’m pregnant. Hope I get invited next time! Looks so much fun! I love the snack grabber/human crane. Looks so much fun! I wonder though if i will get a lot from it. Parang madali na hndi. Haha. I think you got a lot of snacks from this event. Your kids must be very happy. My, that is really fun! It’s like a theme park and game show in one! 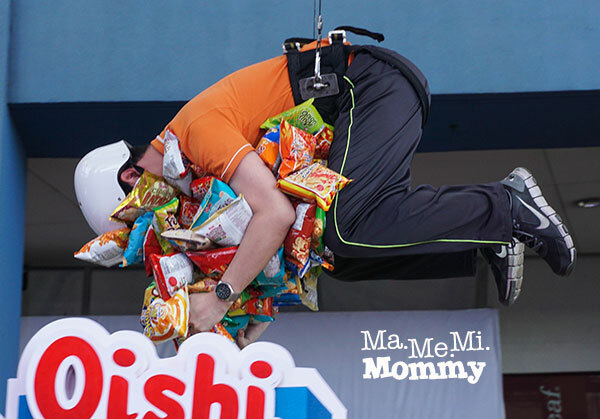 The human crane, the make-your-own snack…add to that the fact that Oishi products are really delicious! My mag-ama are crazy about Bread Pan, while Oaties drinks are my favourite milk & chocomilk drinks! Wow! 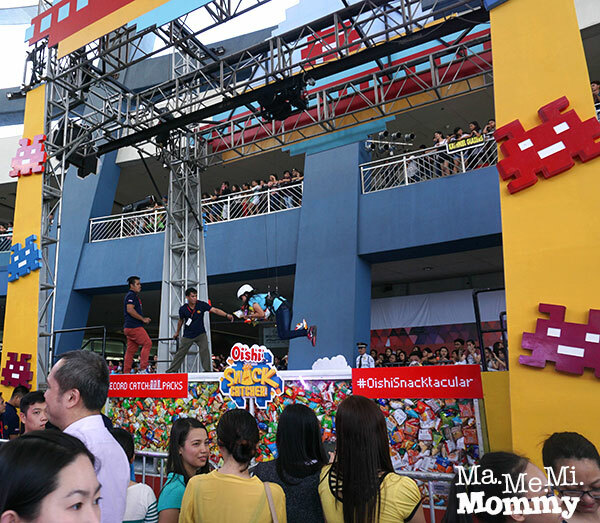 This sounds like a great event, my family and I love Oishi snacks pa naman. 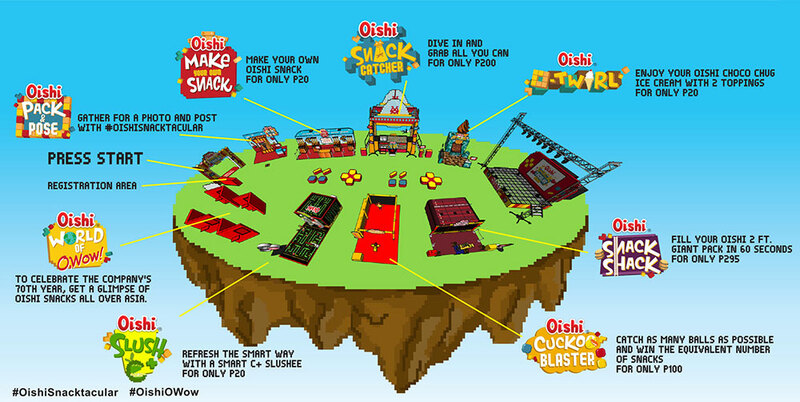 I hope next time I could try Oishi Snack Catcher. Mukang ang saya! 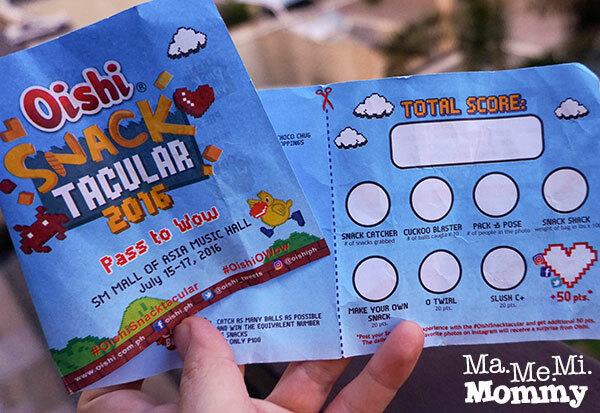 Waaaah, too bad I missed the Oishi Snactackular Event this year!! It looks bigger and more fun. I was there too and played the Cuckoo Blaster. Too bad hindi na ako nakapag Snack Catcher kasi ang haba ng pila :(.